PATCH WordPress Theme is specifically designed for bloggers who are trying to get the maximum from the generated content. Making content via PATCH WordPress Theme features is very alike to a newspaper version of news. This approach allows to interest the target audience and keep its attention. PATCH is an adaptive theme in approach to the created content. You can write short or long posts, add images and videos of various sizes to the text content. In any case PATCH will adapt to your style and your content will be performed in the best way possible. You can also choose how to display a preview of your positions in the feed of the main page. Prepared display options allow you to quickly set up a unique design of your website or blog on WordPress platform. With the built-in editor, you can deeply affect the design of posts, if it deems necessary. Various color palettes are available when setting up a CSS stylesheet. Combining different formats of posts is also possible with the help of the PATCH WordPress theme`s functions. Such an approach will constantly surprise your readers with interesting innovations and will keep their attention on the site for a long time. It will also be available for you to use a variety of fonts and effects for their unique display. 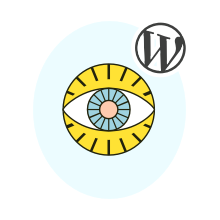 Note the complete SEO optimization of your website or blog using the PATCH WordPress theme. Most of the hard work has already been done for you, so you do not have to think about how to further optimize the site for the results of the SERPs. PATCH WordPress Theme will allow you to tell fascinating stories and decorate them with the help of additional visual content. This process will be quick and easy once you become familiar with a variety of features of this theme.